Istanbul is the home to the largest shopping centers in Turkey and the number of shopping malls has boomed in the past ten years. 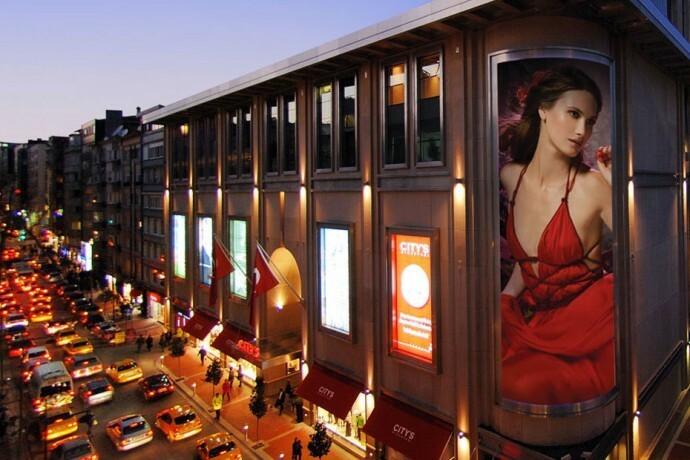 Therefore, you will definitely find a mall in Istanbul that matches your expectations. 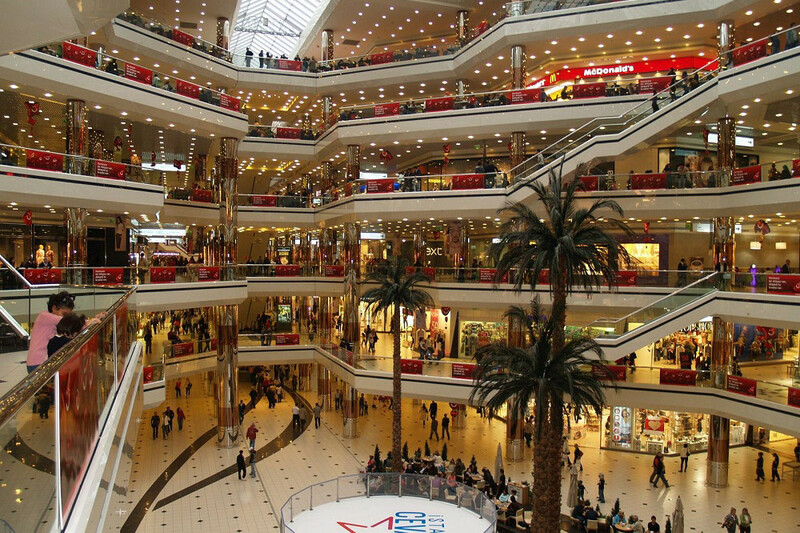 Below is the list of the best shopping malls in Istanbul Asian and European sides of the city. We have also included the features of these malls and even the awards they received. Enjoy shopping! Galleria Atakoy is Turkey’s first modern shopping center. The mall opened its doors to the public in 1988 and it has been visited by millions of people since then. 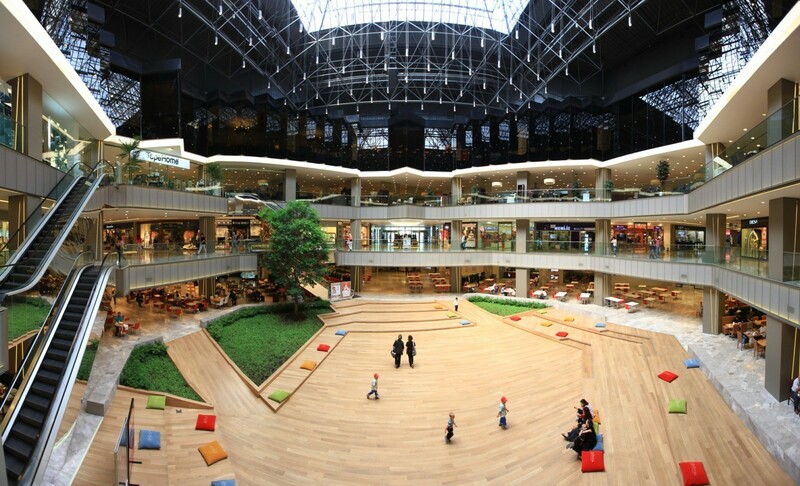 The mall is really popular among the residents of Istanbul, and it won such prestigious awards as ‘’Best Architectural Design’’, ‘’Best Detailed Project’’ and ‘’Best Shop Mix’’ in 1989. Besides shopping at Galleria Atakoy, you can watch movies at its movie complex and attend events like conversation sessions with celebrities. Istanbul Cevahir is a huge shopping mall and it boasts as Europe’s second and the World’s eighth biggest shopping center. Therefore, you can imagine how big Istanbul Cevahir is; so try not to get lost at Istanbul Cevahir while shopping there. 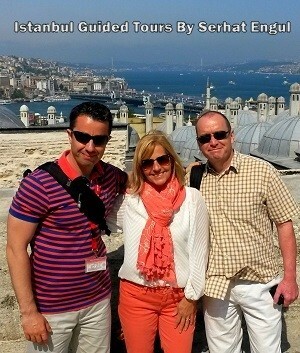 Istanbul Cevahir was opened in 2005 and it attracts visitors mostly from Mecidiyekoy and Sisli areas. You can easily go to Istanbul Cevahir from Taksim by Metro directly. As it is really easy to get to Cevahir Shopping Mall, it’s highly popular with tourists as well as locals. The mall houses more than 200 stores. Its two floors are reserved for dining and the ground floor is the entertainment area both for adults and kids. Cevahir is a popular mall among theatre lovers since it hosts the Cevahir Stage of Istanbul State Theatre next to the movie complex. Profilo Shopping Center is in the same area with other major centers such as Cevahir and Kanyon. Therefore, while in terms of size, the mall cannot compete with other huge malls, it is an important mall for people who work and live in Mecidiyekoy and Sisli areas nonetheless. The mall includes a special theater stage besides several shops, a supermarket chain, and coffee shops. If you enjoy rather quiet malls and wish to do shopping after a nice meal, Profilo is the best place for you. 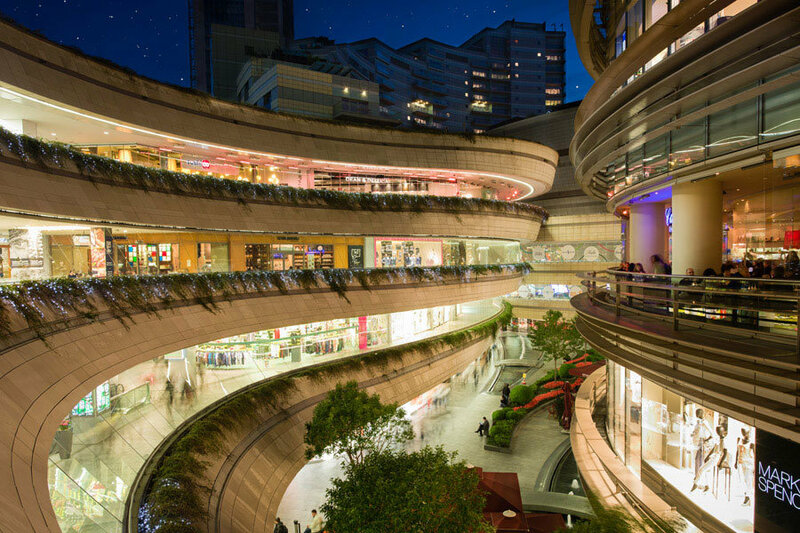 Kanyon AVM is the pioneer of outdoor malls and it attracts attention thanks to its unique atmosphere and luxury brands and it is also easily accessible by Metro. In addition to the theatre hall and the movie complex, concerts and festivals are also organized at Kanyon AVM. Therefore, it brings a whole new level to the concept of entertainment for its visitors. Kanyon AVM is also a meeting point of office workers both for lunch and after work. The mall offers international and Turkish food, which also makes this mall a popular one. IstinyePark was opened in 2007. It hosts 280 different stores, outdoor and indoor areas. 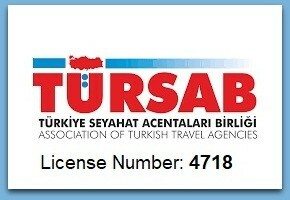 IstinyePark is the first choice of many foreign companies that choose to enter Turkish market. In addition to such companies, a lot of successful restaurants that offer the best examples of the international kitchen can also be found at IstinyePark. İstinyePark‘s glass ceilings and green outdoor areas offer a spacious atmosphere for its visitors. The mall has been granted the ‘’Best Mall of the Year’’ award by various institutes. A gym and a movie complex are also among other facilities in the mall. If you are a foodie, you should also check Pazar Yeri, as it hosts 20 small shops that offer great food. Moreover, the concept of Pazar Yeri reminds its visitors of a typical Turkish bazaar, which makes it even more attractive. Overall, the mall offers a wide range of services from health, sports, food to entertainment and shopping. 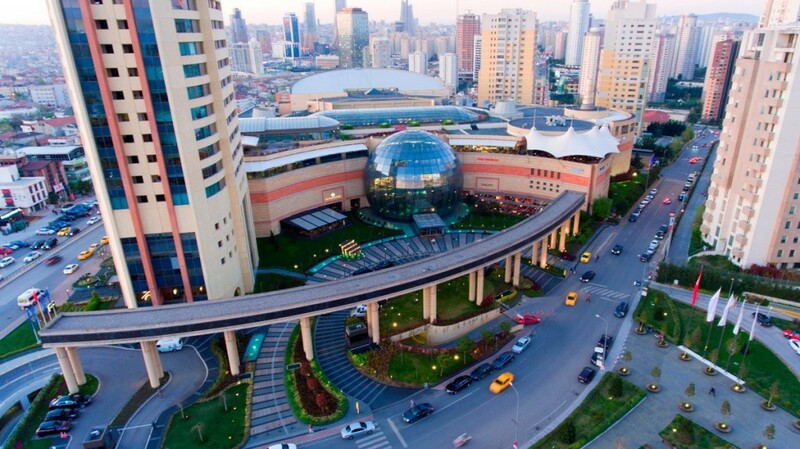 Istinye Park is definitely one of the Best Shopping Malls in Istanbul. İstinyePark – Sariyer – What to buy? Where to buy in Istanbul? Mall of Istanbul is the winner of prestigious ‘’Europe’s Best Shopping Center’’ award and it really deserves the praise for many reasons. Mall of Istanbul incorporates offices, a residence and a hotel and it’s located at one of Istanbul’s most popular spots. The mall was opened in 2004 and it has a motto that goes as, ‘’Turkey’s biggest shopping, entertainment and lifestyle center’’. The mall houses 350 shops. 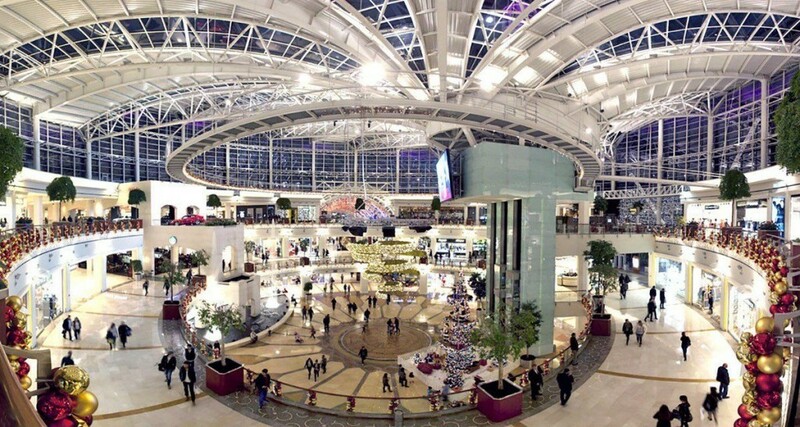 Mall of Istanbul was inspired by Seven Hills of Istanbul. Therefore, the traces of famous landmarks like Sultanahmet, Taksim and Yildiz Park can be seen in its design. There is something for everyone at Mall of Istanbul. If you are a food lover, you can enjoy great international food at Gusto MOI or if you are interested in art and performance arts, there are frequent theatre performances and concerts at MOI Sahne. Moreover, at MOI Sanat, you can visit international galleries and if you want to spend a fun day, MOI Park is the best place for you, as it offers Europe’s biggest indoor entertainment park. And of course, you can watch the latest movies at Cinetech movie complex. 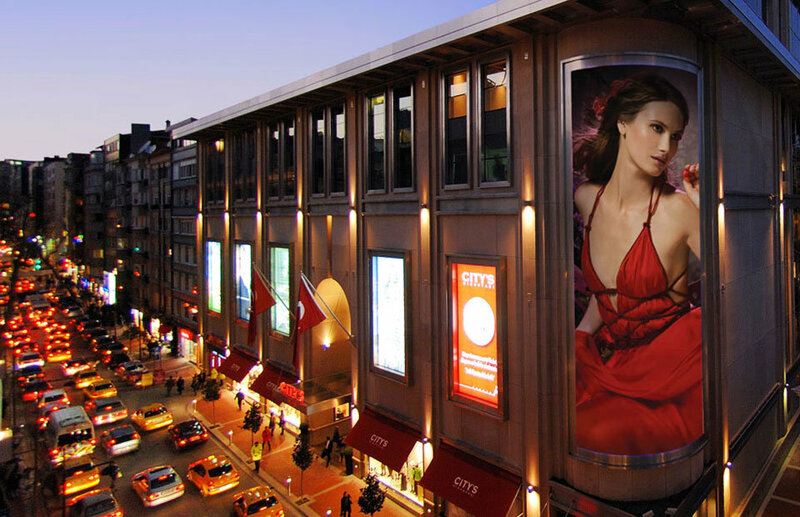 In short, Mall of Istanbul is the ultimate shopping, entertainment, food and art center of Istanbul. Marmara Forum always stands out among other malls, as special activities are often held for children thanks to Marmara Cocuk Kulubu (Marmara Kids Club). 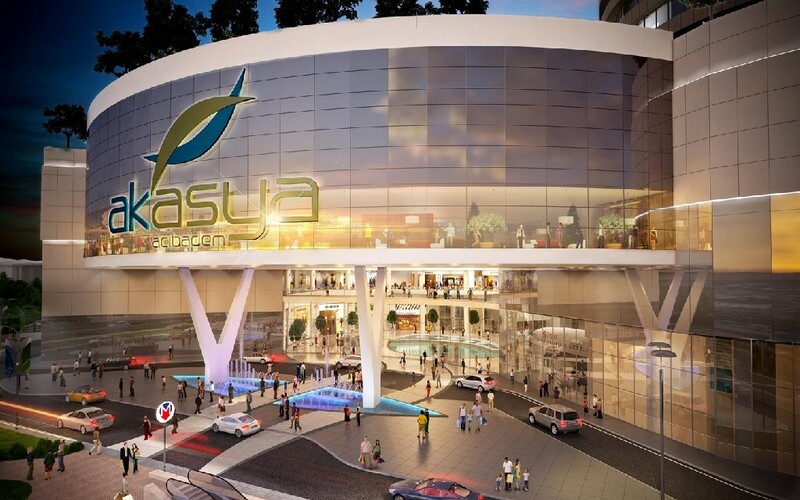 Marmara Forum is also significant thanks to being the mall to house Turkey’s first hypermarket. There are numerous foreign and local brands to choose from at Marmara Forum. Furthermore, the mall has a Kids Street where your little ones can play with their peers in a safe and decent environment. Forum Istanbul not only brings world-famous brands together but also houses Istanbul Sea Life Akvaryum, which is really worth visiting. The aquarium also includes Europe’s second-biggest shark family. It sounds exciting, doesn’t it? 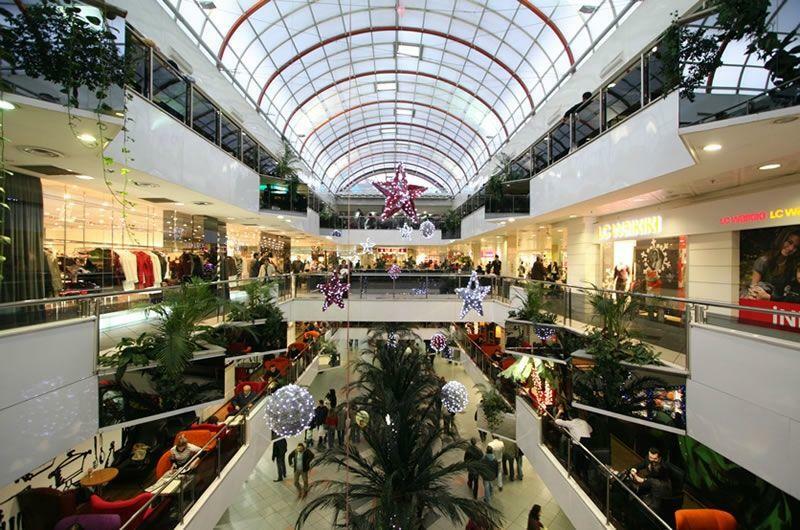 You can also find major home decoration, construction and sports shops at Forum Istanbul. In addition to Istanbul Sea Life Aquarium, the mall also houses Turkey’s first Legoland Discovery Center. Ahtapot Eglence Merkezi, Flyride Helicopter Simulation areas are also the features of the mall that makes it even more attractive than many others. Forum Istanbul definitely offers things that many of its competitors can’t. Don’t forget to check it out. Located in the center of Nisantasi, City’s Nisantasi offers foodies a recent mall trend ‘’street floor’’. In addition to housing numerous national and international brands, the mall offers you the historical atmosphere of Nisantasi. The mall offers a lifestyle center with its movie complex and gym. Furthermore, thanks to its location and the brands it houses, the mall attracts both domestic and foreign tourists as well as locals. Akmerkez was opened in 1993 and it’s one of the first shopping malls in Istanbul. The mall has been awarded 40 times by various institutions so far, which is really impressive. The mall hosts different activities each year as well as the ice-skating rink Frozenland on the top floor. Therefore, Akmerkez is one of the first choices of visitors who look for entertainment. The shopping center is also a business and lifestyle center with its residences and business centers. In addition to its movie complex, the mall also offers opera performances like Macbeth and Madame Butterfly in here. Don’t miss them, if you are an opera lover. Capitol is one of the oldest shopping centers in Istanbul and it’s been the center of entertainment and shopping for 25 years. The mall houses major brands for its visitors. Moreover, Capitol was rewarded by International Council of Shopping Centers in “Best Renovated Shopping Centers” category in 2006. 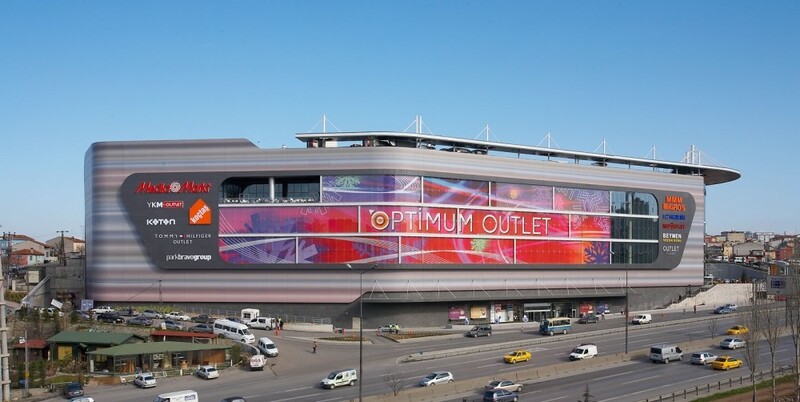 Optimum Outlet is home to dozens of brands, homecare and technology shops, markets and a real ice rink of 500 square meters. 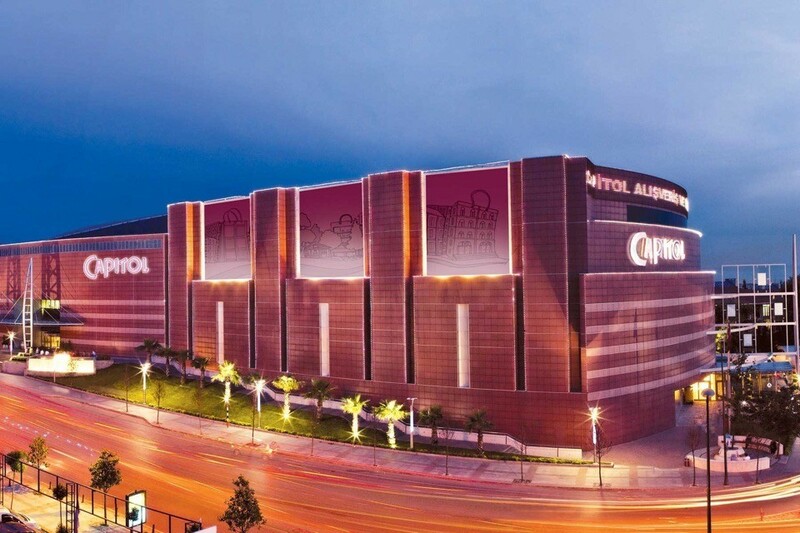 As its name suggests, Optimum Outlet brings various outlet malls and lots of entertainment together for its visitors. Moreover, the mall has a food court that can host 2,500 visitors at the same time. After a great shopping experience, you can dine and rest at one of the many restaurants at the food court. The mall has spacious indoor and outdoor areas and its visitors will definitely have a great shopping and entertainment experience. Thanks to its great location at Kadikoy and its feature as an entertainment, shopping and dining center, Tepe Nautilus is definitely one of the best choices among its competitors. The mall houses a gym, a bowling alley, a movie complex, numerous home decor shops and techno shops. Apart from the main food court, you can also enjoy your meal in a restaurant at a spacious outdoor area on its first floor. Palladium is opposite to Palladium Tower business center and the mall offers a spacious shopping mall experience thanks to its interior design. Although it’s located on the western part of Atasehir, the mall is visible from the most parts of Anatolian (Asian) side. The mall aims to satisfy its visitors by both its movie complex and numerous shops. Although the restaurants inside the mall are concentrated in the same area, numerous cafes are scattered around the mall. Therefore, after you enjoy your meal, you can hit one of those cafes and enjoy your drink and dessert. 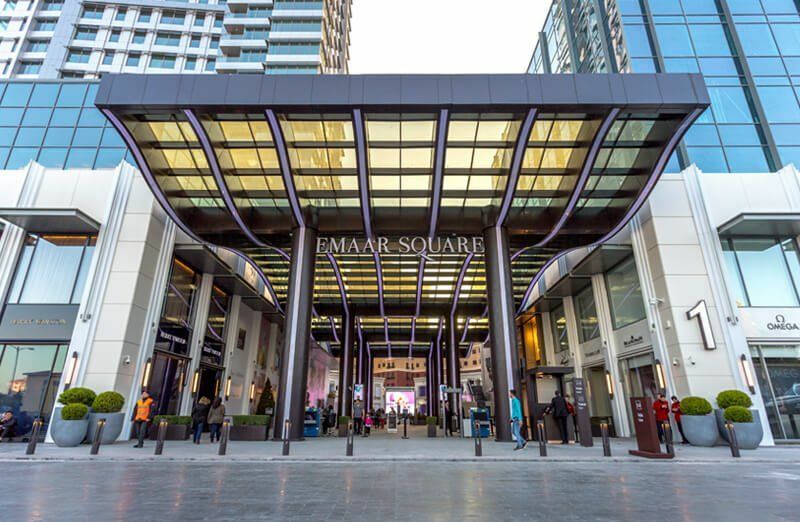 Dubai based Emaar Square Mall offers shopping opportunity at its spacious indoor and outdoor sections. 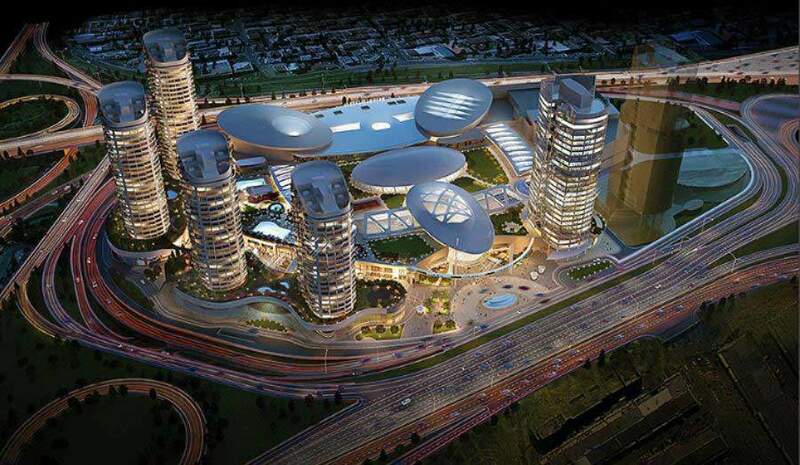 Emaar Square Mall differs from other malls with its unique architectural design and the luxury brands it houses. Emaar Square Mall feels like a new neighborhood with its 2,400-seat capacity multi-story cinema complex, which includes the first 4DX theatre of the Asian side, aquarium and underwater zoo, spectating terraces, entertainment areas, more than 100 restaurants-cafes, a traditional Turkish market and a fashion center. Kozzy Avm is a small shopping center located between Minibus Street and Kozyatagi Metro Station in Kadikoy. The mall can be reached by a fifteen-minute walk from either side and it welcomes you with its theatre stage, a movie complex, outdoor terraces and 58 shops. As its name suggests, Kozzy AVM offers a cozy atmosphere especially for families with children, since the mall is close to residencies and it offers cultural activities and fun moments for kids and adults alike. Akasya AVM is located on an interesting spot, between three apartments and a skyscraper. However, the mall was built on a huge space. Therefore, it offers a spacious area for shoppers where they can dine and do shopping. In addition to including a movie complex, the mall organizes activities for children, workshops and cultural activities. You should also visit Akasya Park in the mall. We should also note that Akasya AVM won “Landscape Architecture Award” in Italy thanks to its Akasya Park. So, don’t miss it, if you go there. Akasya AVM holds its activities under the name Akasya Kultur Sanat and won such awards as Direklerarasi Seyirci Odulleri in 2017 and ”Best Shopping Space” award. Turkey’s biggest outlet mall Viaport is on the way to Sabiha Gökcen Airport on the Asian side. Viaport offers a green and open space with its olive trees, flowers, and a pond. There is also a big amusement park in front of the mall. The park consists of twenty-four different sections and it promises nothing but so much fun both for kids and adults. Viaport has so much to offer with its outlet stores, restaurants, movie complexes, ‘’Best Outlet Mall of the Year’’ award and luxury house project. Therefore, Viaport is an important part of the daily life on the Asian side. Viaport Outlet is the Best Shopping Mall in Istanbul Asian Side.